We often lead very busy lives with limited downtime and rushed mealtimes. Everyone needs a bit of support as we use up our vitamin and mineral levels more quickly depending on what situation we’re in, how well we’re eating and how much of a happy state our gut is in to properly process it all. 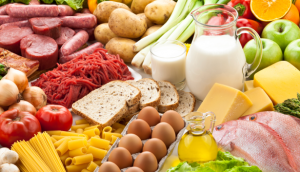 I often get asked, why can’t I just get my vitamins from a balanced diet? I wish we could but these days the nutritional value of food is lower than it was 50 years ago. Bucketloads of research has shown that an orange for example now has 50% less vitamin C in it. Mix and match is my motto. Some months you’ll need more vitamin C if it’s coming into an immune stressing time (e.g. winter), other times more multi mineral if you’re feeling constantly under the weather. When would I need them? Often feeling full and bloated after eating? Aside from slowing down and chewing thoroughly, we’ll check your digestive enzymes which are often depleted. 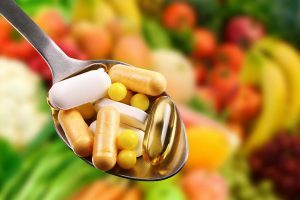 How do you choose supplements? I work with a variety of suppliers to ensure you are always given the right product at the right time. I muscle test to find out which blend you need, for example I test with over 4 different types of Vitamin C, some more citrus based and others with calming rosehip to soothe the digestive tract. When choosing supplements, always make sure you understand what’s in the label and if you don’t know – just ask. It’s preferable to avoid multiple ingredients and synthetic binders.